Creeped out by Facebook’s algorithms? Just wait until you see this new facial recognition tool released by anonymous Russian programmers. On February 11, Russian Internet users discovered a website, searchface.ru, that allows anyone to search the massive social media network VKontakte using a single image. The site’s functionality was simple: after uploading a photograph that included someone’s face, users could see a list of links to VKontakte pages with photographs that may depict the same person. On February 13, after the social media network announced that it would sue SearchFace for “gross violations of [VKontakte’s] rules,” the algorithm’s creators removed profile links from the site’s search results but retained the rest of its functions. Before that change, Meduza journalist Sultan Suleimanov tried out SearchFace’s technology by uploading a recent photo of himself to the website. He intentionally used a picture in which his face was contorted, but that did not seem to interfere with the website’s results. SearchFace was able to locate not only Suleimanov’s personal VKontakte page but also several fake accounts whose creators had uploaded photographs of him. The results also included images Suleimanov had never seen before. They were taken at a friend’s wedding and posted on a locked VKontakte account. SearchFace is reminiscent of another Russian project, FindFace, that was released in 2016 by the company N-Tech Lab. Meduza was unable to compare the accuracy of the two services because public access to FindFace closed in the fall of 2018. Its creators decided to shift their focus to corporate products. After news of SearchFace’s release began to spread, an editor for the publication TJournal managed to get in touch with one of the product’s creators. The programmer, who asked to remain anonymous, said his goal was not to make money — SearchFace has no advertisements and does not require registration. Instead, he simply wanted to research the capacities of his algorithm. Specifically, the programmer said he hoped to test the facial recognition tool on a very large set of photographs, including low-quality images and images in which part of a person’s face is hidden. Meduza made contact with the same developer, who was able to demonstrate his involvement in the SearchFace project. He explained that the algorithm runs on a base of half a billion photographs posted to VKontakte. That base was collected in the summer of 2018, before the social media network enabled users to lock their profiles such that they would not be publicly visible. When SearchFace was developed, users could only lock individual albums. Nonetheless, the programmer assured Meduza that SearchFace does not save its photo base or any additional images users upload to VKontakte. He said the neural networks that allow the website’s search feature to operate have already been fully developed by his three-person team and do not require additional visual input. He also called SearchFace a demo version of the new facial recognition technology and said it became publicly accessible “almost accidentally.” In the day after the site was discovered, tens of thousands of users visited its homepage. SearchFace appears to recognize photographs of individual people quite effectively. For example, a childhood photo depicting Nariman Namazov, who founded one of the sites on which SearchFace was first reported, alongside the blogger Ilya Varlamov easily led the service to the two men’s current photographs. A photograph of the journalist Oleg Kashin in which part of Kashin’s face is hidden behind a poster also provided SearchFace with enough information to find the journalist’s VKontakte page. The website’s algorithms also made do with a photograph in which former Meduza publisher Ilya Krasilshchik looked away from the camera while wearing a microphone and a bicycle helmet. In Kashin’s and Krasilshchik’s cases, SearchFace performed even better than the algorithms that allow Facebook to tag users in their friends’ photographs automatically. Journalists have already called that function “creepy,” but it was unable to recognize Kashin and Krasilshchik based on the photographs mentioned above. 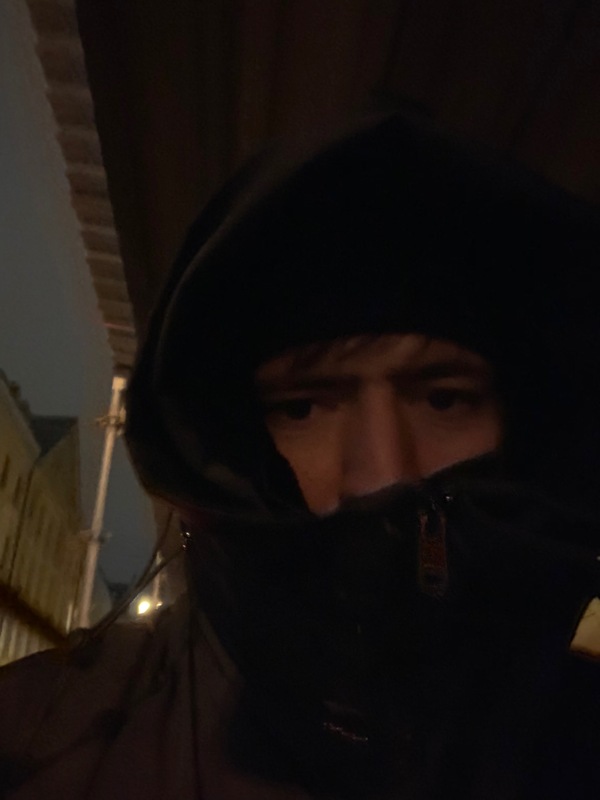 A badly lit selfie of Sultan Suleimanov in which the journalist wore a dark hoodie also failed to trigger Facebook’s facial recognition algorithm, but the photograph worked just fine for SearchFace. Investigative journalists soon began to take advantage of the service: one publication managed to locate the founder of the online casino Azino777 and research his personal life in detail using a single mugshot from 2004. In late January, another site designed to search photographs on VKontakte was released at vlicco.ru. Like SearchFace, Vlicco is currently in its initial testing stages. Its creators hope to turn a profit by hosting advertisements on the site. In order to gain access to Vlicco, users must log in through their VKontakte accounts and yield access to all of their own photographs. The number of search queries available on the site is limited, and Meduza’s testing indicated that the quality of the search did not measure up to that of SearchFace. Both Vlicco and SearchFace representatives told Meduza that their products are entirely unrelated both to each other and to FindFace.